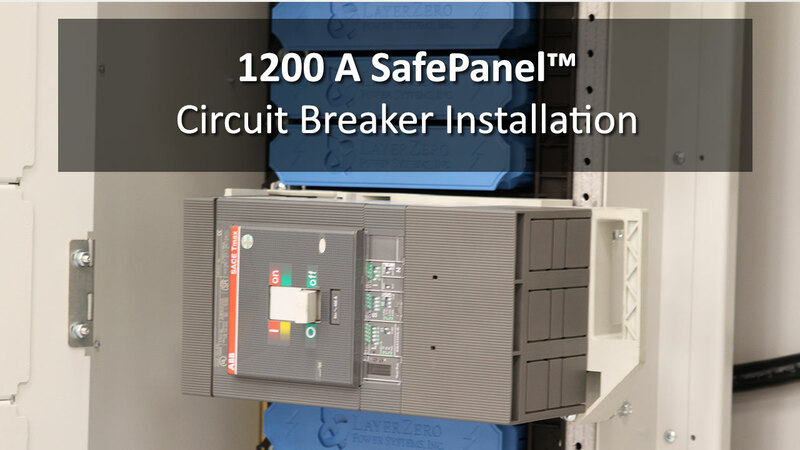 The LayerZero SafePanel™ is an IP-20 rated, finger-safe panel board. With the SafePanel, there is no exposure to live bus. 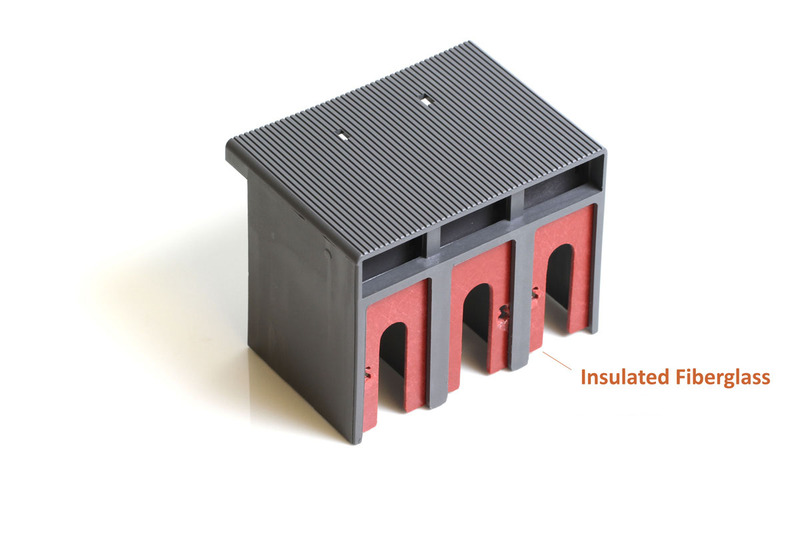 The busway of the SafePanel is located safely behind a plastic resin-injected molding. The SafePanel wells are almost 1" deep, creating an "arc-free zone" designed to protect the operator. 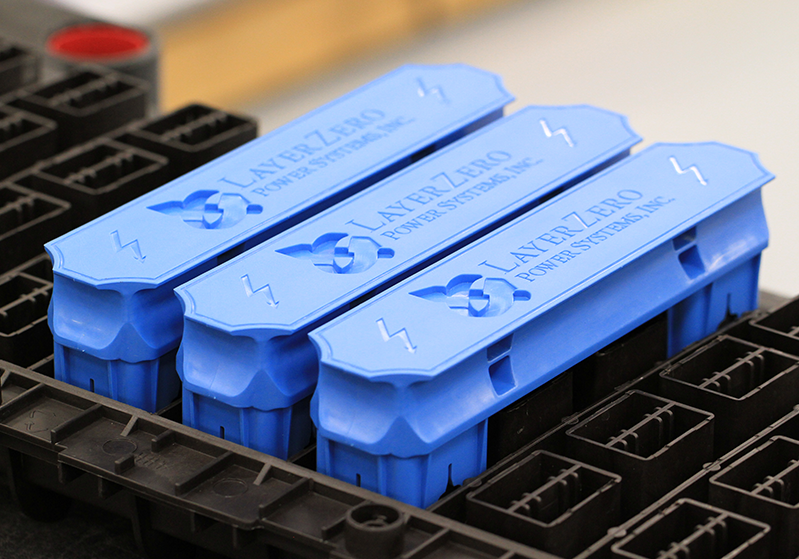 In addition, LayerZero offers shrouds to cover up the SafePanel wells. 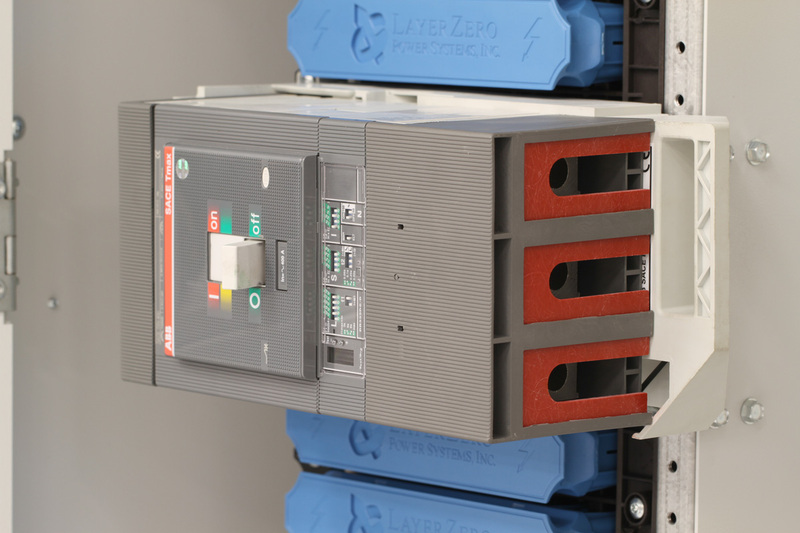 LayerZero Power Systems currently offers the 225 A, 400 A, and 1200 A SafePanel™. 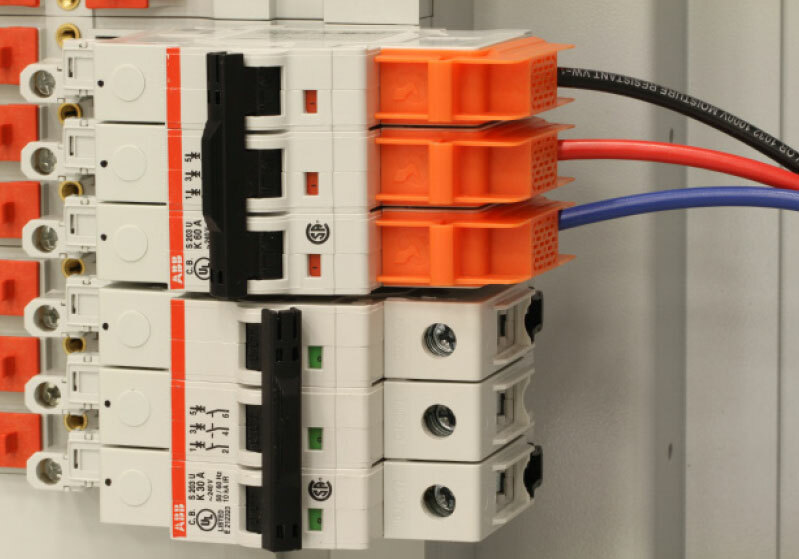 Installation process of the circuit breaker terminal covers and fiberglass inserts. 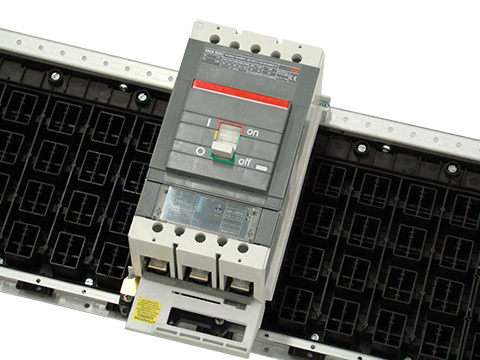 Covers with insulated fiberglass shrouds are preinstalled and shipped with circuit breakers. 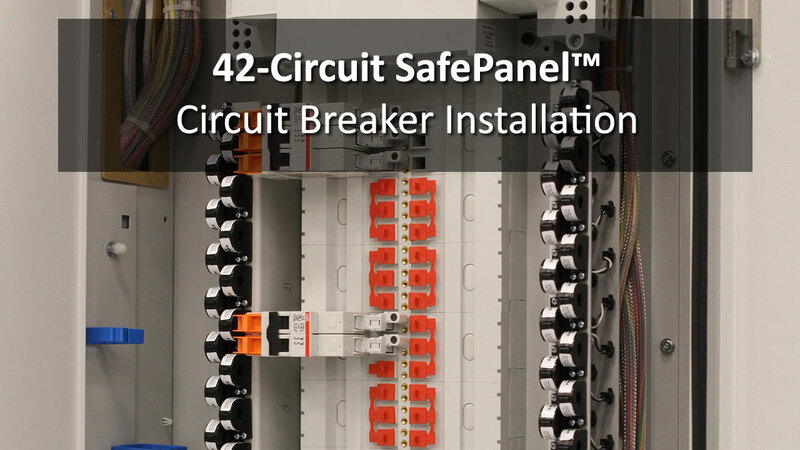 When the covers and shrouds are installed into the SafePanel Panel Board, there are no exposed live parts. 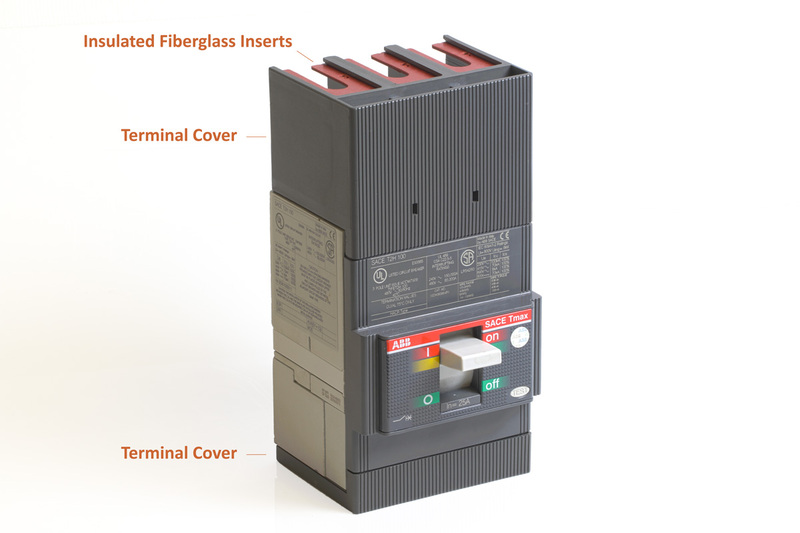 After circuit breaker installation, a terminal cover with insulated fiberglass inserts is installed.